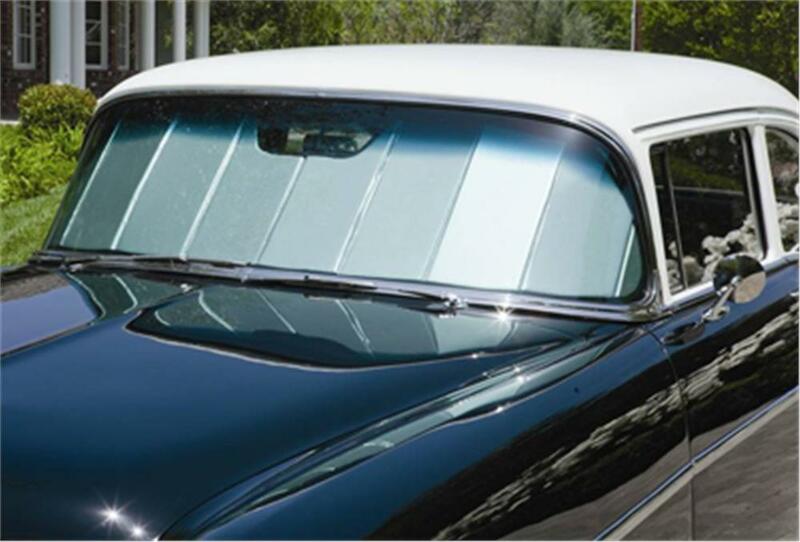 Custom Fit Windshield Sun Shades 1955 - 1957 Chevy | Classic Chevy Tri-Five Windshield Sun Shades for Sale | California Car Cover Co.
Our exclusive California Car Cover pattern windshield sun shields are custom fit and specially made for your classic Tri-Five 1955, 1956, 1957 Chevy. Those metal dashes are true to original but boy do they ever get hot in the summer! 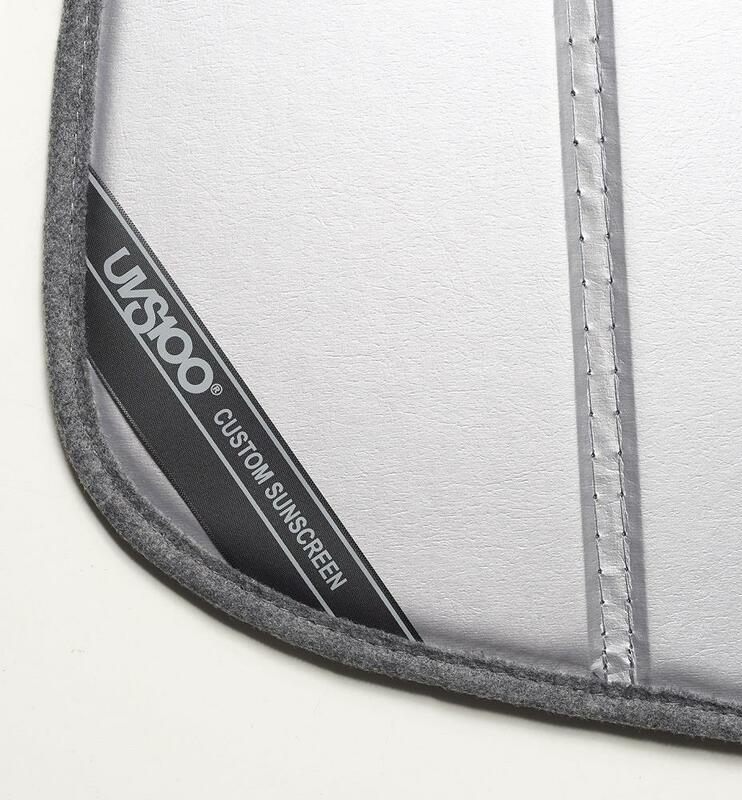 Triple-layer premium quality material is laminated to an insulating foam core with reflective silver outside surface to hold off the interior heat and optimally block harmful UV rays, and the inside is lined and trimmed with soft felt so it won’t scratch. 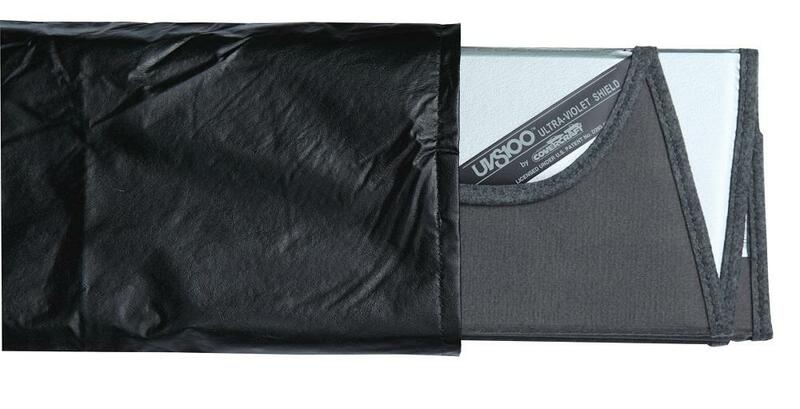 Simply and quickly position the shade by unfolding, position inside windshield and folding visors down. 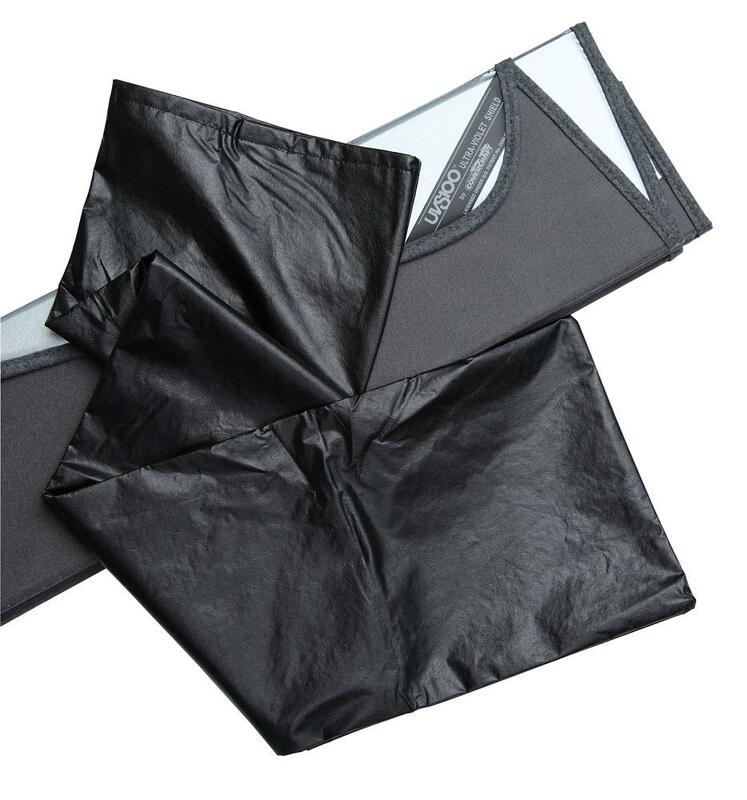 Refold for easy storage in the optional storage bag. 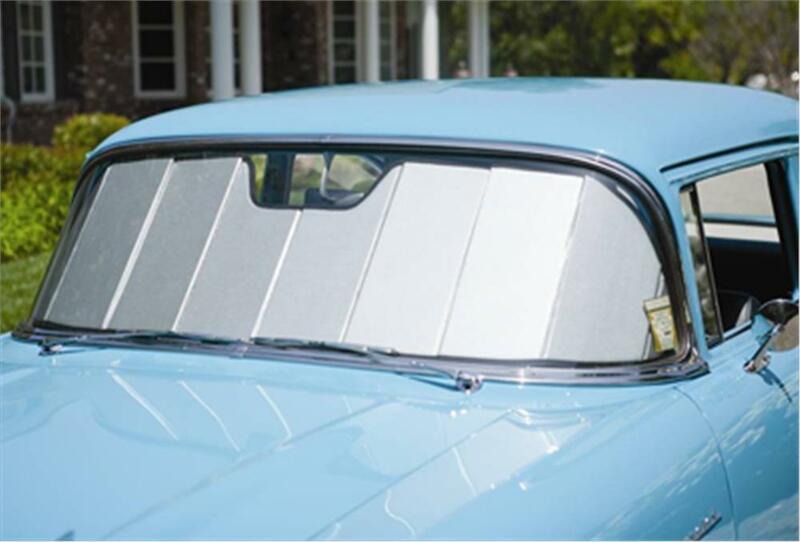 1955, 1956 and 1957 Windshield Sun Shades are made in the USA. 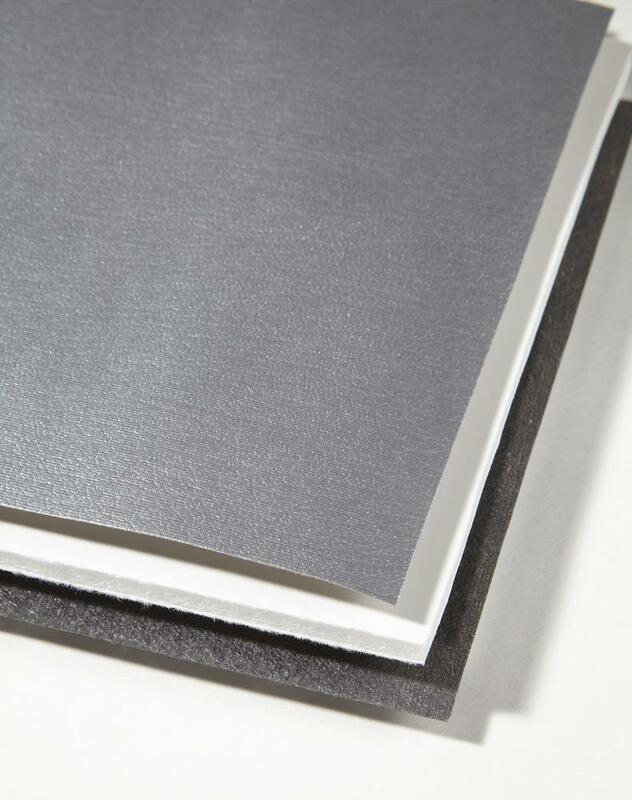 Backed by a 1 year warranty.